no big dill: OUT Chapter 4: Me! What amazing guests I've had! I feel like I should be extending OUT another month with all the inspiration instead of shutting the b●ok. Also, I feel like I need to start quilting now, an urge that has never had fruits before (thank you very much, Astrid!) I was just going through the Flickr group and was so impressed with what you guys have been doing! There's even another version of Stuck! Load your photos if you haven't yet so I can close this out with your projects on Monday. I had so many books I wanted to do, but as usual, my ambitiousness was cut short. I settled on ●ne Red Dot, a pop-up book that I keep under lock and key with the rest of my pop-up books. Just kidding. Sort of. Divine was the recipient since the other 4 girls just had something made for them. Each page of the book has some elaborate p●p-up structure with one red dot somewhere hidden. So we put a dot on her toes. 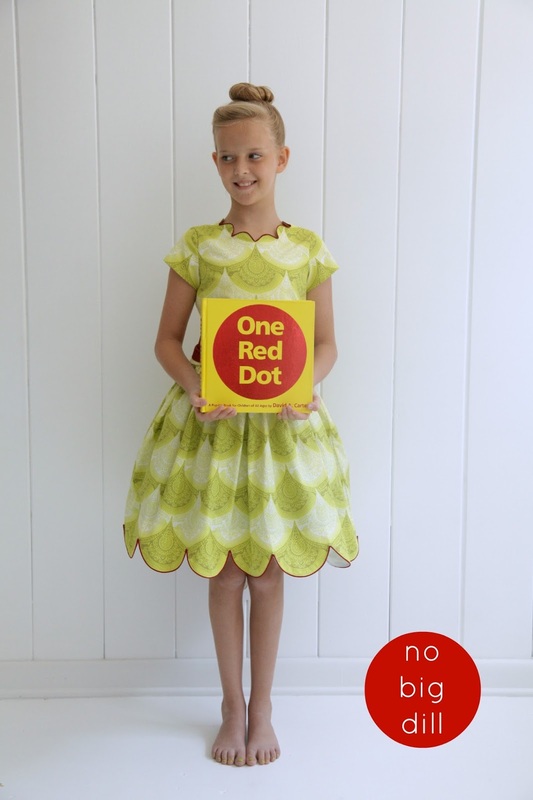 and of course one GIANT red ● dot on her dress! The fabric is Prince Charming Snail Scallop and I just used the fabric upside down (don't tell the snails!●) and followed the scallops along the bottom, adding baby piping. ① Trace and cut scallops along outer edge of hem or neckline. ② Cut piping down to seam allowance size, so you can just line it up along the edge of the fabric and clip every 1/2" or so. ③ Pin along edge of scallops. ④ It's easiest to use a foot that has a ● groove for the piping to follow, or a zipper foot that allows you to sew right along the cord of the piping. ⑤ Once your piping is sewn on, sew on the facing (right sides together) but have the garment side facing up so you can follow the stitching line you've already created. ⑥ I find it's easiest to adjust the thread length to 2mm or even 1.5mm which allows to you turn curves more easily. Also, keep your needle in down position so you can pivot at the points of the scallops. It's a self drafted pattern that took some adjusting along the neckline ● to get the front and back scallops lined up just how I wanted them. The dots? Just covered buttons! I love those giant ones. I show you how t● use them here. And yes, that thread hanging from ● the hem is driving me crazy. 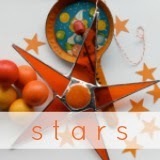 Such a fun book that we like to pull out every once in a while to ● enjoy! You can see someone else who wanted to get in on the action. 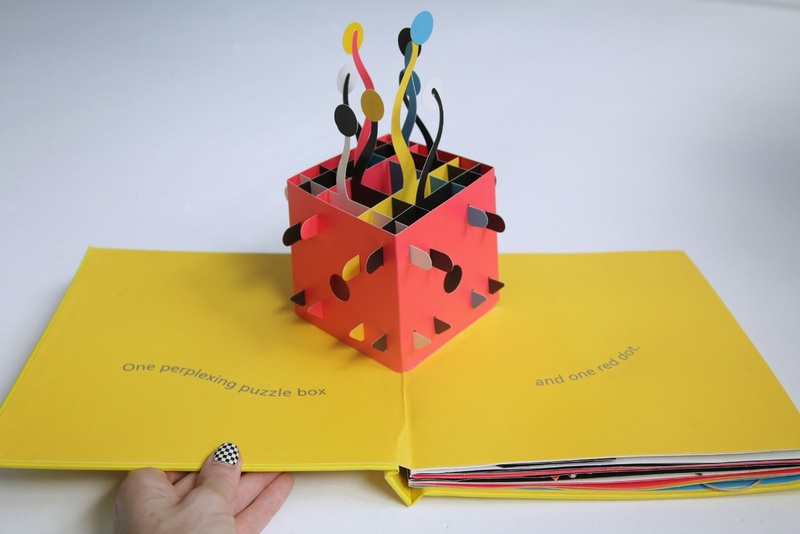 Pop-up books are a bit magical, don't you think●? Do you have any favorites? Don't forget to add your ●nce Upon a Thread photos to the Flickr group this weekend! a-maaaazing dress! it is so detailed and yet, so simple. Not many people an pull that off! You are my hero. Great book as well! Amazing, of course! The neckline is especially beautiful. I'll have to look up that book as I love pop up books. There is a really fantastic pop-up Alice in Wonderland and one of my personal favorites is Knick-Knack Paddywhack by Paul Zelinsky. I love his illustrations. Oh my goodness, that's gorgeous! The green and red together are stunning, as is your model! And thanks for walking us through the scallops, the detail is amazing. You are so unique and the details are just awesome. Divine is so lucky! I would love this dress for myself!!! Amazing! Is there more pictures I'm missing. I only see the one picture..
Beautiful! 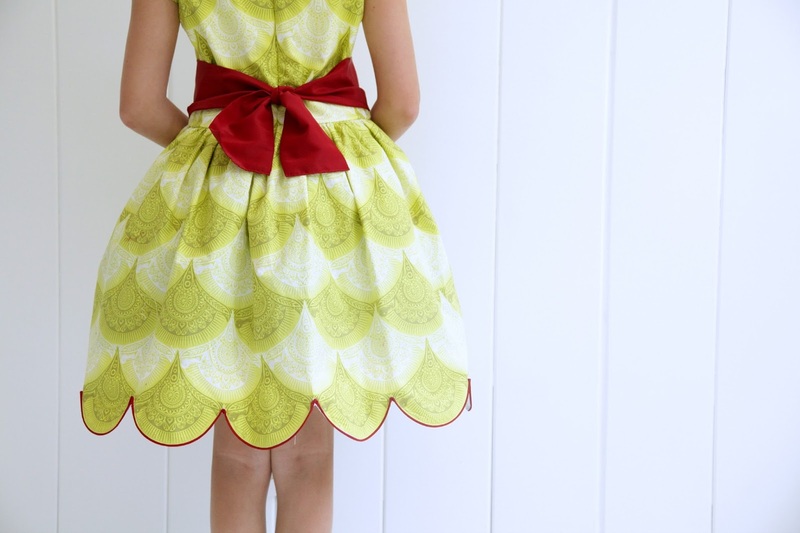 I sewed scallops this week too, they are a fun detail to add to a dress. The piping, however, takes scallops to a whole new fantastic level! Amazing job Katy. Oh that turned out so pretty! I just love scallops. They might just be my favorite shape. :) Way, way pretty. Thanks for such a fun series! 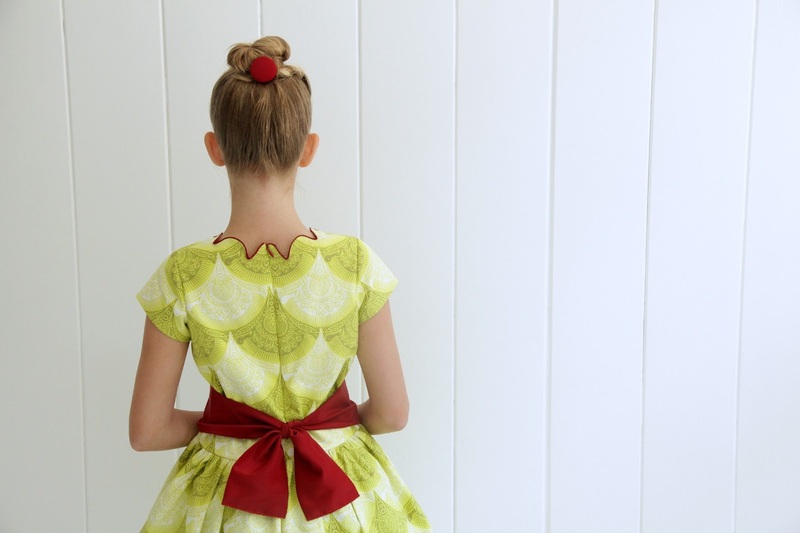 The red piping makes the dress. Wow. At first I thought it was just red serger thread. I can't believe the time and work and detail you've added with piping. This is so much fun. I'm sure she LOVES that dress! The scallops. Oh the scallops. Well done! That dress is simply beautiful. I adore it. C'est magnifique! This is sooooo good Katy! Love that fabric and the piped scallops are incredible. Katy, that is one beautiful dress! Love everything about it. 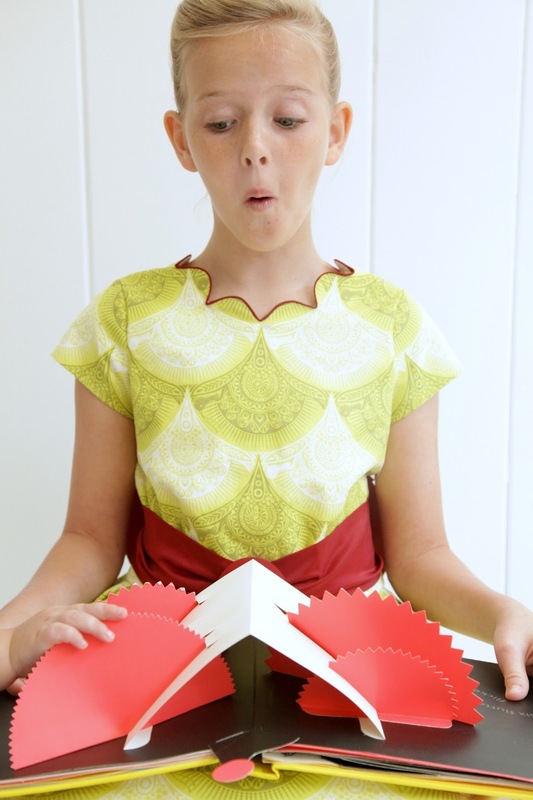 (including the model) Also love your pop up book. Everything about that dress is stunning! 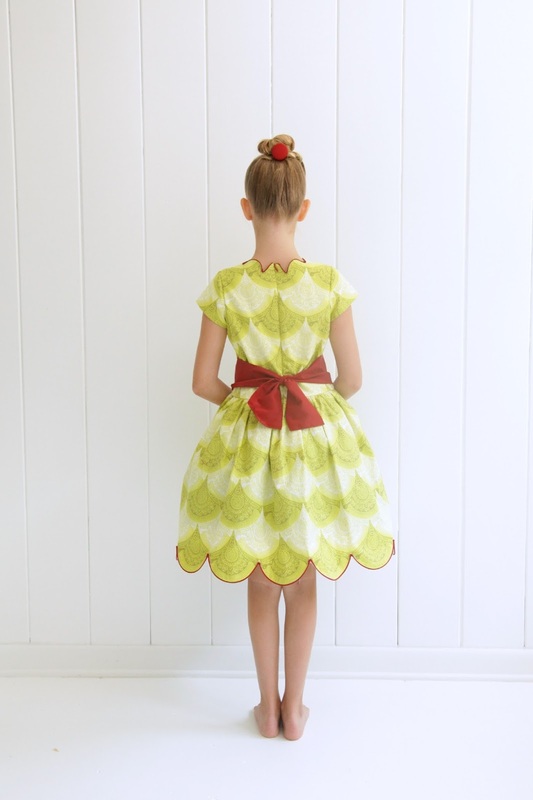 You are one amazing seamstress and your daughter is so beautiful (how lucky for her it was her turn for something mumma-made)! That pop-up book looks fantastic, I'll have to check that one out, thanks. WOW! The dress is stunning! Such a beautiful, classic look. I'm in love. Beautiful dress, the details make it. I love pop-up books but haven't yet seen One Red Dot. 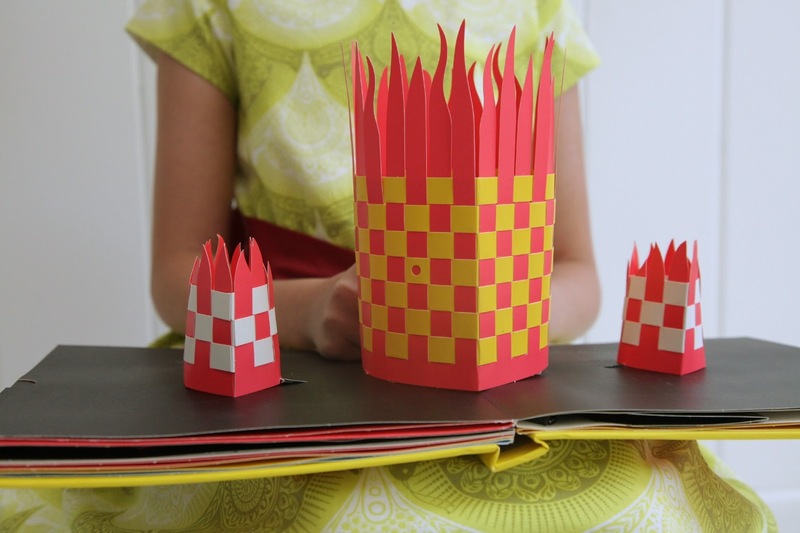 Robert Sabuda does amazing pop-up books. In looking up his name I noticed he has done a bunch of fairy tales. I have many of his Christmas books and like you I'm careful with them. What a stunning dress! I love the colors and the SCALLOPS are AMAZING! Wow!! How have I never heard of a book about a red dot! Can't wait to check this one out. and simply gorgeous dress. So unique. this dress is so pretty! i love the colors and the shapes. it's sweetly girly, yet she looks very grown up. well done!